Are you stumped as to what to get a 14 year old boy for his birthday or Christmas? If so, this article has lots of ideas of gifts that he will love that you probably hadn’the thought of. There are specific suggestions and lots of additional ideas as well as link to more pages to explore with more ideas. As technology improves it is actually becoming less different to buy for boys in their teenage years. 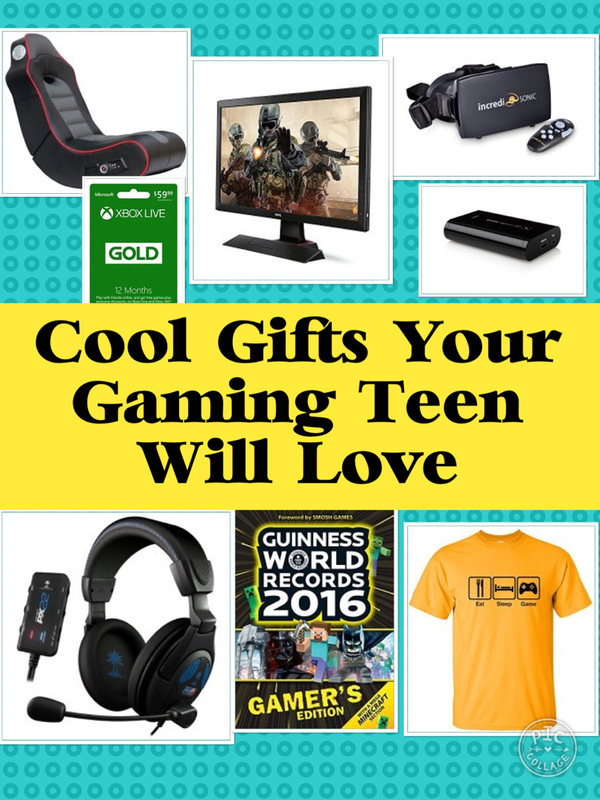 New technology has provided lots of fun new toys, gaming gear, music gadgets and accessories which all make fantastic gifts for teenage guys. However, there are still some traditional ideas that are worth considering too. From bath robes and socks to books and tools, there is something for every 14 year old below. In this age of technology there are so many fun toys for teenagers. Ideas include toys that are controlled via smartphones and tablets such as the Darkside Sphero featured below. Other cool toys include drones, remote control helicopters, handheld gaming systems such as the Nintendo 3DS, sporty toys like the Ripstik Castor board and lots more. Check out lots more cool toys for teen boys. 14 year old boys will have great fun playing the lightening reaction reload game. It's super easy to play. Each player grabs hold of the handle. Press the center button which activates the red flashing light and the suspensful music plays. When the light goes green, all the players must press the trigger buttons at the top of their handles. The last one to press the button gets an electric shock. You can change the intensity of the electric shock to suit the players. This Fortnite version of monopoly is one thing that will help drag a fortnite obsessed teen away from the video game. It's different to the traditional monopoly in that it’s not about what players own; it’s about how long they can survive. 2 to 7 players claim locations, battle their opponents, and avoid the Storm to survive; the last player standing wins. This is the game that has no age limits – so go ahead and treat family or friends to a smashing laser tag tournament. These revolutionary laser blasters and target vests boast a flawless performance both inside and outdoors within a wide 150 ft. range. ​Will you battle in broad daylight or under the cover of dark? It can be hard to buy clothes and accessories for a 14 year old boy unless you know what he likes. However, it's not an area to avoid completely, there are tons of ideas that make great gifts. If you want to buy clothes hoodies and the-shirts are often easiest if you know his size. See what brands and colors he already wears to give some ideas. T-shirts with funny slogans often make good gifts too. Accessories are often quite easy to buy especially in winter. Some ideas include texting gloves, a beanie hat or scarf. Or what about the jedi bath robe below. The Jedi bath robe makes a fantastic practical but fun gift. A great choice of robe for Star Wars fans. The one featured comes in two different sizes (one size and big and tall). It’s soft warm fleece so will keep him warm on those winter nights and is great to put on first thing in the morning or after a bath or shower too. It has a tie closure and some pockets too (great to store a remote control for the TV or a snack he wants to eat later). This one comes in several different colors. It features LED lights and is electrical safety certified. The Ripstik Caster board is a really fun way to surf the sidewalks. It's also great to do tricks. The Ripstik Caster board is a cross between skateboard and a snow board. It's popular with older children, teens and college students. If he loves scootering or skateboarding, he will enjoy the ripstick caster board too. A Leatherman multi tool can be an extremely useful gift for a 14 year old boy particularly if he is a practical or outdoors kind of a guy or even just for everyday use. There are tons of useful tools on this leatherman (14 in total). It's a gift that can be useful for years. 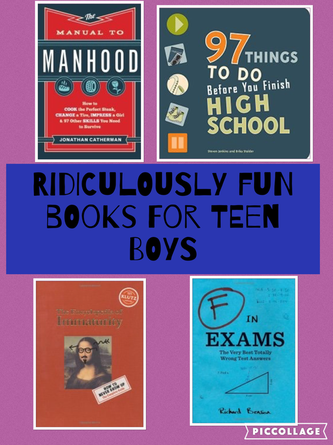 There are tons of fun books for 16 year old boys. The Manual to Manhood is a fab gift idea for any 16 year old boy. This is a fun book that will get teens to make the most of their last few years of high school. It's about doing that they don't teach you at shcool. There are tons of really exciting ideas. Obviously he won't want to do them all, but there should be a good few that will inspire him. It's great to pick the ones that apply to you and get going. Plan your first road trip, make a podcast, or write a manifesto. Let’s face it many 14 years old boys like to spend a lot of time holed up in their room. Whether they’re sleeping, playing video games, watching TV or hanging out with friends, it’is often a safe place for him to have his own space away from siblings and parents. If he’s like this any gifts that he can use in his room are worth considering. Ideas range from a lapdesk or a bedrest to make it more comfortable to look at stuff on his tablet or laptop. A media streaming device such as a Amazon Fire Stick will allow him to stream extra channels such as Netflix or music from services such as Spotify through is television. A mini fridge can hold snacks and drinks. There are also some fun games such as a mini basketball hoop to hook onto the back of his door. Check out gifts for a teen boys bedroom for these and more ideas. ​A lapdesk is a great idea for a student who likes to study while they're sitting on a couch or a bed. This ipad stand and cover is made out of cork wood. ​Cork wood is eco friendly as it’s 100% Natural, sustainable and renewable. Cork trees do not have to be cut down in order to harvest the wood. The material is good as an ipad cover as it’s naturally shock absorbing and water resistant. The ipad cover folds out into a stand with different viewing angles. You can even turn your iPad into a small laptop and work station if you buy a little keyboard to go with it. Many 14 year old boys are gamers. It’s a very popular activity for teens and if so there are a ton of gifts you can get which include video games, gaming vouchers, a gaming headset, keyboard or mouse, storage for a console and games and lots more. Check out the gifts for gamers page for lots of ideas to suit different budgets. One idea is a gaming chair. There are gaming chairs to suit all budgets. From chairs which just get boys off the floor to chairs with legs, subwoofers and speakers, RCA inputs, wireless receivers, and vibration support. Office chairs and bean bags also make a good alternative to a gaming chair. I also like the bungee chair below. A note when purchasing a gaming chair make sure it's compatible with the games console it needs to be used with. f he loves gaming, a gaming chair could be make the perfect gift. Firstly download the cardboard app to your phone and place it into the front of the device which you then wear. It fits most phone between 4 and 6 inches. Headphones are great for hearing every detail of the sound in your games (like enemy footsteps or the click of a weapon in the distance). You can also use the microphone on a headset to speak to friends online. The softly padded retractable headband design allows you to find the perfect fit without constraint and provide excellent durability, suits all gamers at any age. It's the global authority on all things videogames. Inside, you’ll be able to delve into your favorite games like never before – from returning favorites like FIFA, Overwatch, Call of Duty, Minecraft, Super Mario and The Legend of Zelda, to all-new instant classics such as Fortnite, Monster Hunter: World, Dragon Ball FighterZ, and NieR: Automata. Sometimes, it’s a 14 year old boy has everything that he needs and wants. If you’re struggling it may be worth considering an experience day. Some ideas include Go karting, hot air balloon, paint balling and zorbing. If he’is not sporty there are music experience days, tickets to a concert or theatre. or a day out visiting somewhere he’is always wanted to go. It's super small, light and ultra portable and it's comfortable to wear or mount on your gear. It’s a reaction ball. He can play it on his own by bouncing it off a hard surface such as a wall or with other people. It's a great tool for improving your reaction speed in all kinds of sports such as baseball.. The a six sided high-bounce rubber ball causes the ball to leap and pop randomly so concentration, excellent hand-eye coordination and quick reaction are required to follow the ball. It really does improve reflexes and agility. And it's fun too.